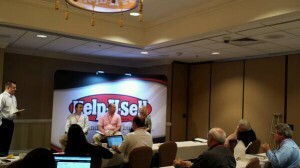 A panel of successful franchisees offered advice during last year's Help-U-Sell Success Summit. We had such a great turnout for the Success Summit last October in Las Vegas that we’re returning there this year. Stay tuned for the agenda later this spring or early in the summer. We are planning on more roundtable discussions and networking opportunities, based on feedback we received after last year’s Summit. Attendees can expect to see new technology and new marketing materials and to leave with new knowledge, new friends and new skills. The dates of the Summit are Oct. 14-16. Like last year, the event will begin midday on Tuesday and end midday Thursday so that attendees can come in on the first day and leave on the last day. There will be a welcome reception on Tuesday evening, as well as free time for everyone to mingle or explore the Strip on their own. We have arranged for discounted rooms at our location for the Summit, Planet Hollywood. Rates will be $109 per night (not including a daily $20 resort fee, which includes WiFi and fitness center access). 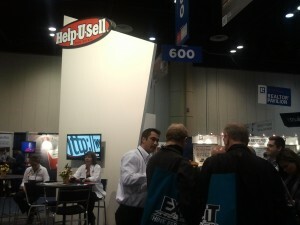 Call the hotel at 800-634-6661 and say you’re with Help-U-Sell to get this rate. The deadline for booking your rooms is September 12. There are some rooms available in our block starting Oct. 13, if you are arriving the day before the Summit begins. 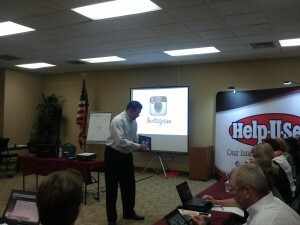 In the meantime, please register at seminars.helpusell.com so that we know you’ll be joining us. Visit our Franchise Opportunity Center for more information. We’ve just started day two of our annual Success Summit in Las Vegas! Yesterday, we welcomed brokers and agents from all over the country, including our newest franchisee, who just signed with us at the meeting. 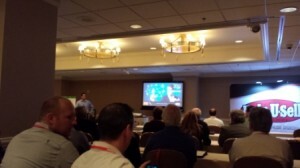 In addition to the opening session, we held three breakout sessions on technology, coaching and marketing; as well as a marketing roundtable session, where our offices shared marketing techniques that work for them. 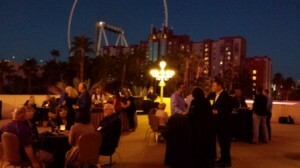 We ended the day with a reception overlooking the Strip. Today, we have a full day of general and breakout sessions. A special thank-you to Mike Paholke of Excel Printing and Mailing for bringing new marketing materials and showing us how to order them, and to John Powell and Jack Bailey for their coaching sessions. If you aren’t in attendance and would like to follow the happenings in Las Vegas, search #SuccessSummit13 on Twitter. The third annual Help-U-Sell Success Summit will cover marketing, technology and coaching topics as selected by our brokers. As many of you know, our third annual Success Summit will take place from October 22-24 in Las Vegas. Read more about it, including how to book your hotel rooms, in an earlier Connect post. So far, we have about 30 registered attendees from coast to coast: Virginia and North Carolina to Arizona and California. 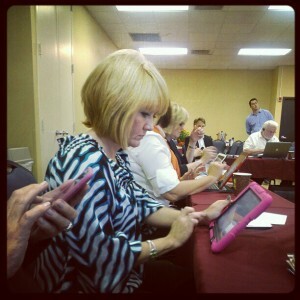 If you have not yet registered, please do so at seminars.helpusell.com. Many of you told us that learning from your fellow Help-U-Sell brokers was highly important, so we will also set aside time for fluid, purposeful networking conversations. We have other surprises up our sleeves that you won’t want to miss. See you in Vegas! We are wrapping up production of the video lessons for ProCoach University, our new online training tool for new and seasoned franchisees. One of the lessons covers lead management and how to effectively convert leads into clients. With the tight inventory situations many markets are facing, it’s more important than ever to cultivate and convert leads, especially seller leads. * What are you trying to accomplish? * How will you measure results? 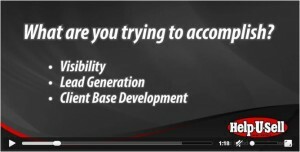 Help-U-Sell Real Estate's ProCoach University video on lead management teaches brokers to start out with clear goals. Packed into fewer than eight minutes are a list of five things you should know prior to any campaign’s kickoff (current status, where your advertising will appear and why, what it’s costing, what specific results you hope to achieve, what success will look like) and the six moments of truth in the lead management cycle. What are those half dozen revealing junctures? They’re the different phases on your way to converting an inquiry to a closing, and you need to examine each one to uncover any areas where there could be improvement. The final segment of the video lesson looks at lead management step by step, including documenting your inquiries and keeping your lead records up to date. Measuring against benchmarks and goals every step of the way from generation to conversion will help you to refine your generation and management system, making it more cost-effective so that you can save clients even more money. Help-U-Sell brokers, if you would like to have access to ProCoach University, contact us so that we can set up your account. If you’re not a franchisee yet, you can join the Help-U-Sell family for as little as $2,500 in up-front fees and gain access to our online and one-on-one coaching training. 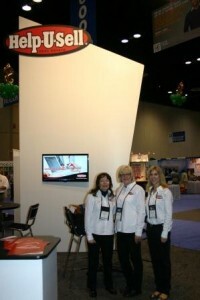 Learn more at our Franchise Opportunity Center.